Sometimes things come at once, you know nothing planned for ages and then all of a sudden you’re squeezing everything into one little weekend. A friend turned 30th on Thursday and she’d planned a few days of celebrations. Thursday we had a quiet meal with her and her son. On Friday we picked up the celebrating pace and booked an over night stay in a hotel. To make the evening extra special we arranged for a make-up artists to call to the hotel to make us look extra lovely, there was also the usual trip to the hairdresser for a blow dry. 22 of us sat down for a meal at Christakis, there was plenty of dancing and very late night reminiscing about boyfriends past and the PJ and Duncan fan club. Randomly there was a lesson on the dance routine to U Krazy Katz…..thanks Peg. Happy Birthday Emma, yours was the best 30th I’ve celebrated. Saturday evening was another Birthday Celebration, I had tickets to an Evening of the Music of Lord Andrew Lloyd Webber at the Liverpool Philharmonic, it was a one of show to celebrate his 65th Birthday. We started the night in Host . 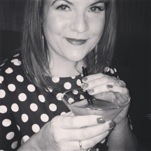 As the title of this blog will attest, I’m partial to a gin, their G no T cocktail could have been made just for me. We’ve been to host a few times and they never disappoint. The Crispy squid is a must as are any of the deserts, but special mention to the Peanut Butter Brulee. The show was amazing, the orchestra played the big numbers from a few of his most popular musicals. I’ve never fancied seeing Evita, but after hearing ‘Buenos Aires’, ‘And the Money kept rolling in’ and of cause ‘Don’t cry for me Argentina’ I really want to now. We finished the night with a few drinks in the Phil Rooms pub. Yesterday was spent relaxing, after 3 late night I needed it. 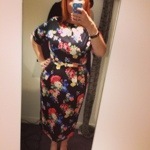 I know they’re only phone photos and lacking in any great detail, but both dresses are from ASOS.